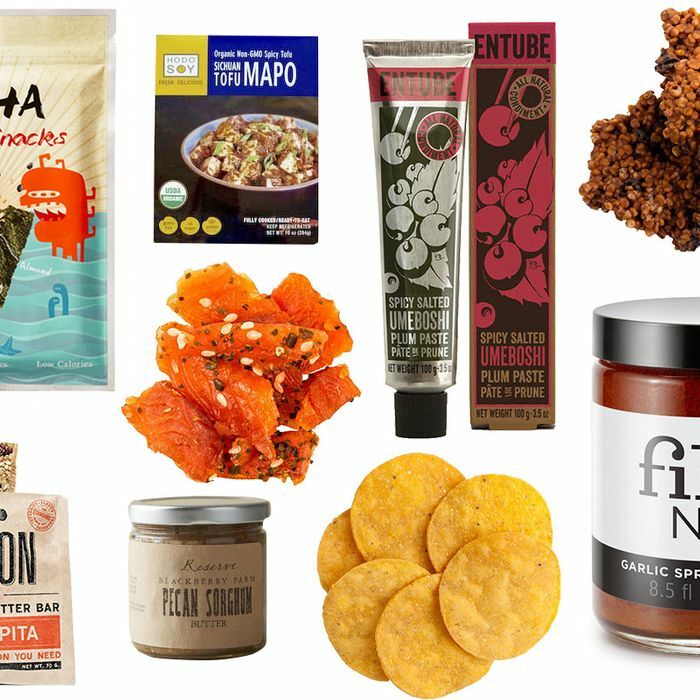 Put down the jerky and pick up a bag of these bite-size smoked-salmon snacks from Juneau, Alaska’s Dear North. 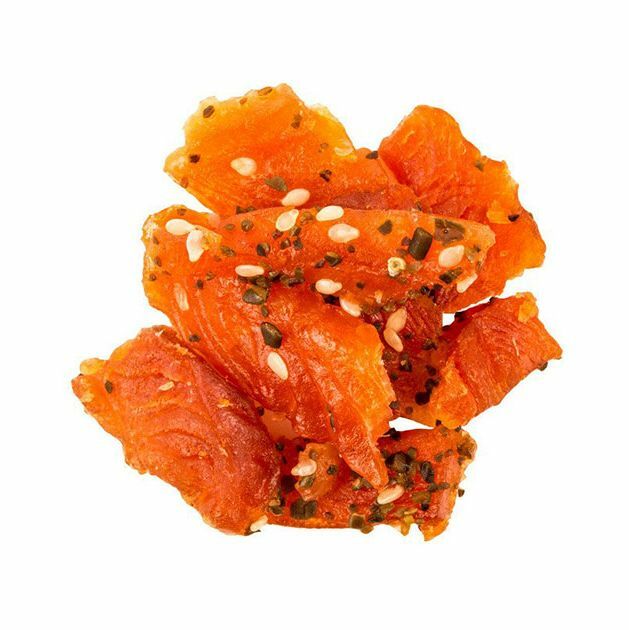 Smoked in the Alaskan style until jerky-ish, the salmon is marinated in soy sauce and mirin, and, for an extra boost of flavor, tossed with sea kelp and sesame seeds. Salty, salty Planters these are not. 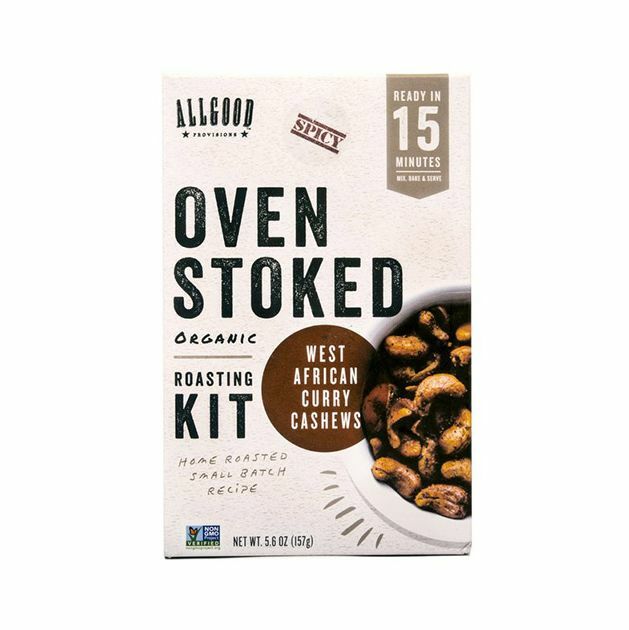 The health-minded Allgood Provisions has created these simple kits that guarantee you won’t be snacking on stale nuts — because you roast the West African curry-seasoned cashews yourself. 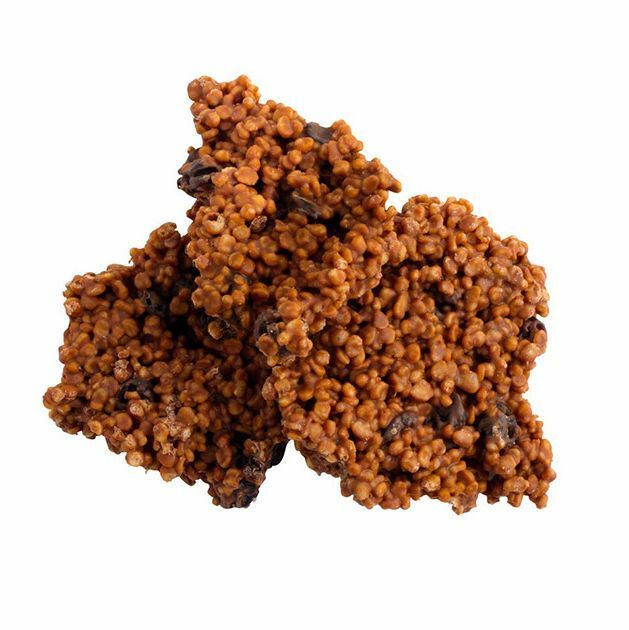 Think of a Nestlé Crunch, but with less chocolate, quinoa instead of rice, and the addition of currants. Also, significantly less sugar. Sometimes you need a ready-made meal. 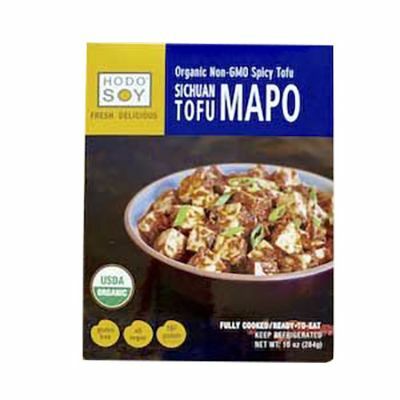 Skip the weird tofurky and go for a classic: the Sichuan dish mapo tofu, made by the tofu kings at Hodo with shiitake mushrooms subbing in for the pork. 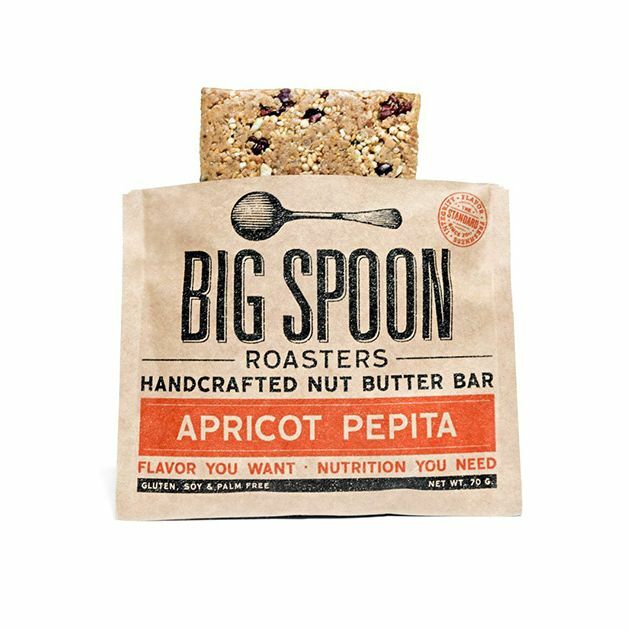 Noted nut-butter producer Big Spoon is behind these apricot-pepita bars, made with roasted peanuts plus oats, quinoa, cocoa, and wildflower honey. It’s certainly a better way to start your day than a bacon-egg-and-cheese or a Clif bar. Encourage yourself to cook more with better condiments: The people behind harissa in a tube have turned their attention to Japan with this take on Umeboshi, which they make with ume plum, vinegar, red beetroot, cayenne, and shiso leaves. 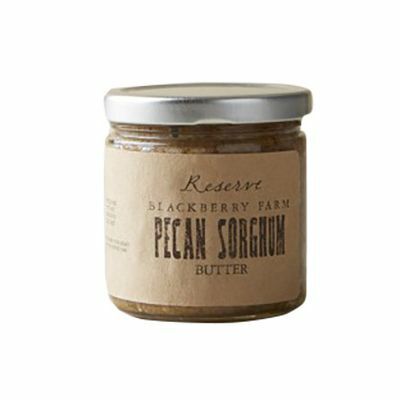 Blackberry Farm combines pecans with Muddy Pond sorghum for a very Southern nut butter. 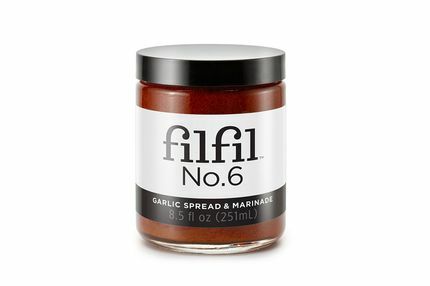 Spread it on toast, try it out in peanut sauces, or however else you please. 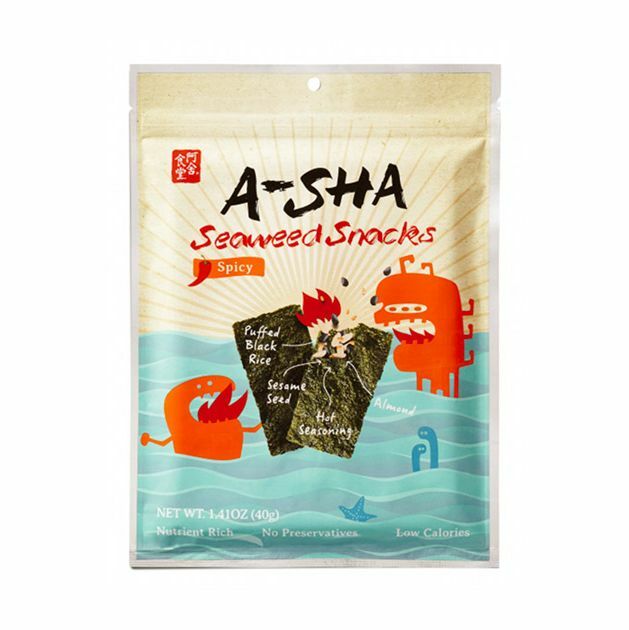 Savoy seaweed is a perfect midday snack, and even better when sandwiching puffed rice, almonds, and toasted sesame seeds. Giving up corn chips is tough, Grub knows. 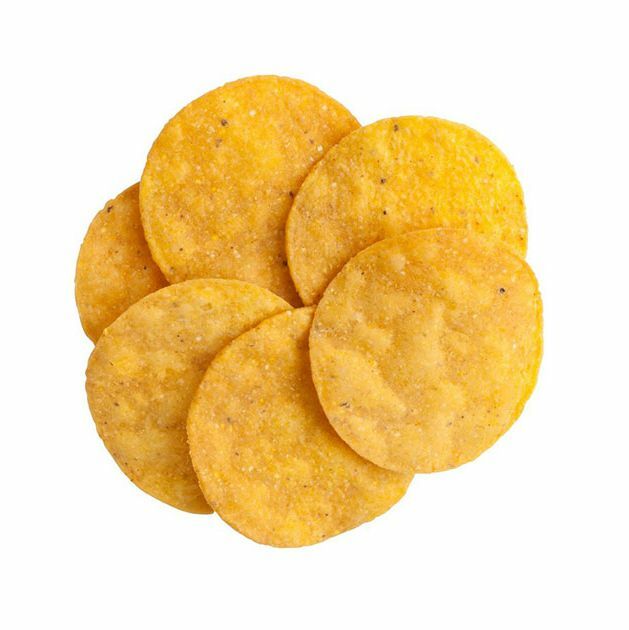 But if you have to snack on chips, there are better options, like these sweet corn chips, which are light on the salt and made with sustainable corn. Manresa Bread, one of the country’s most revered bakeries, recently started shipping their loaves nationwide. 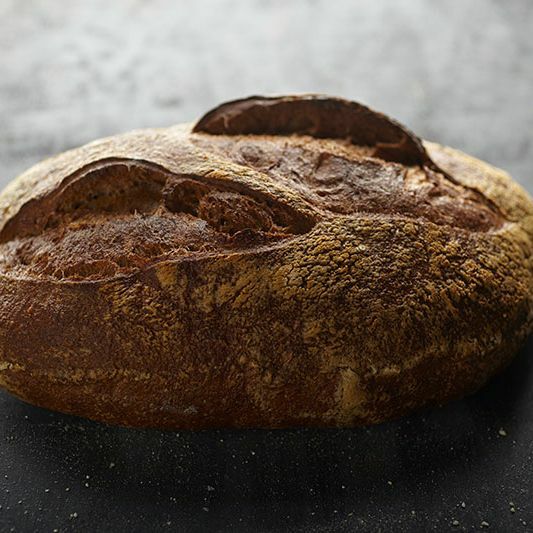 Sub out your usual white bread with its whole-wheat loaf, which is naturally fermented and made from four types of flour.